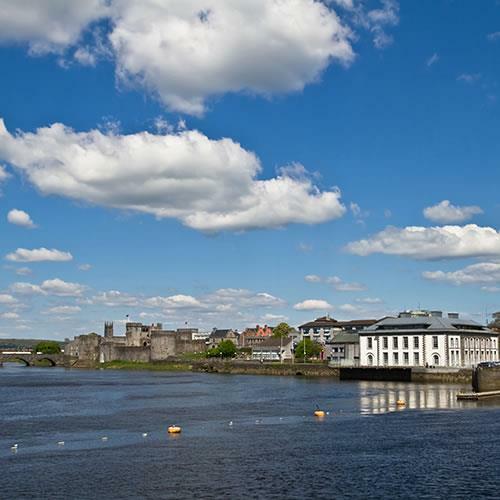 Much of the area that is today`s Limerick city center is an area that wasn`t developed until the eighteenth century. Before then, most people either lived in `Englishtown` (the southern end of King`s Island) or `Irishtown` (in the modern-day neighborhoods of Milk Market and Johnsgate, located close to the Abbey River). The land that would become Newtown Pery was once owned by the Franciscan order, which was then seized by the government after Henry VIII banned monastic orders in England, Wales and Ireland in 1541. This land, called `South Priors Land` at the time, was given to Edmund Sexton, an ancestor of the eventual developer, Edmund Sexton Pery. Edmund Sexton Pery began developing this land in the year 1769, hiring Christopher Colles, known for his work engineering public works projects in the American colonies, to create the planned community of Newtown Pery. Many of the blocks were created in a grid plan, giving each block an equal length and space, with numerous blocks featuring four- and five-story Georgian terraced townhouses. O`Connell Street (then called George Street) was the showcase thoroughfare, with Georgian architecture on highest display in Pery Square and The Crescent (the latter of which being the terminus of O`Connell Street). Another exquisite example of Georgian architecture in Newtown Pery is The Hunt Museum, designed by Davis Ducart and located on Rutland Street. 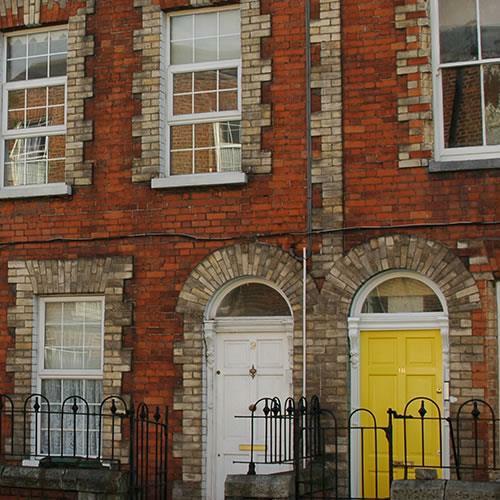 Newtown Pery is roughly bounded by the Shannon River to the west and northwest, Patrick Street and Denmark Street to the northeast, Wickham Street, Parnell Street and Lord Edward Street to the east, and St. Alphonsus Street, St. Gerard Street, and Wolfe Tone Street to the south. 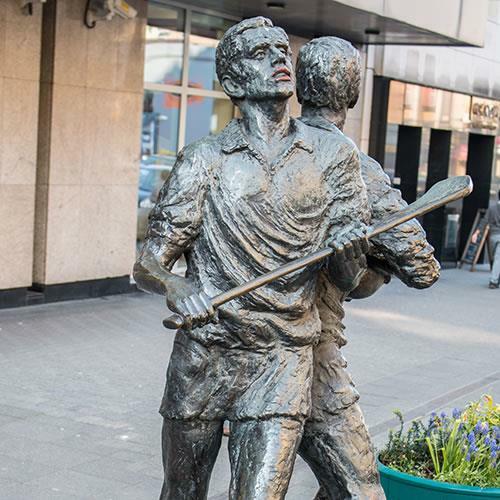 The main street passing through Newtown Pery is O`Connell Street, with a statue of Daniel O`Connell located in The Crescent. The Anglo-Norman invasion of Ireland took place in the 12th century. During this time, large numbers of Old English settlers moved into the walled area once occupied by the Vikings located on King`s Island, separated from the area now called Thomondgate by the Shannon River. Across the Abbey River to the south, a community of native Irish were already living in the area, and by default their community was labeled `Irishtown`, to differentiate from the `Englishtown` across the Abbey. Irishtown roughly corresponds to the modern-day neighborhoods of Milk Market and Johnsgate. 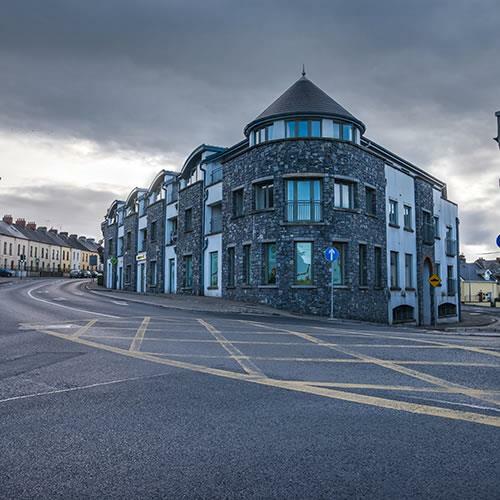 The main thoroughfares in Irishtown are Broad Street, which leads from the Baal Bridge, and its two forks: Mungret Street, which only flows north, and the two-lane John`s Street. 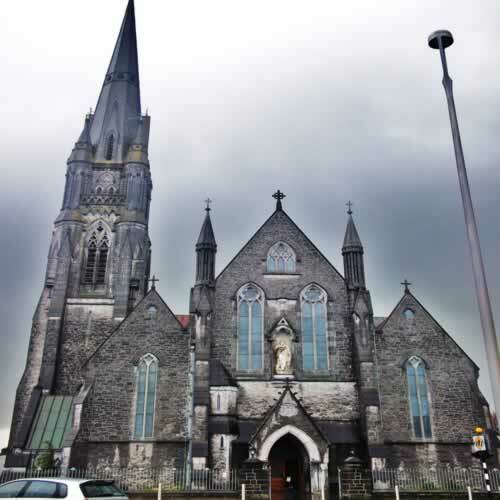 John`s Street leads to St. John`s Hospital, St. John`s Square, and St. John`s Cathedral, the most notable points of interest in today`s Irishtown. Off Mungret Street you will notice one of the most popular local shopping haunts in the city, the Limerick Milk Market. Over 50 vendors sell a large variety of foodstuffs (not just milk anymore!). The area is roughly bounded by Pennywell and Cathedral Place to the south and east, the Abbey River and Charlotte`s Quay to the north, and Patrick Street and Denmark Street to the west and southwest. As previously discussed, the Old English moved into the walled city on the southern portion of King`s Island in the 12th century. This area was called `Englishtown` to differentiate from the Irish settlement that already existed across the Abbey River. Around the time of original settment, the English began to build St. Mary`s Cathedral, which was founded in 1168. By 1210, King John`s Castle, a defensive garrison overlooking a key position where the Abbey River meets the Shannon, was built. 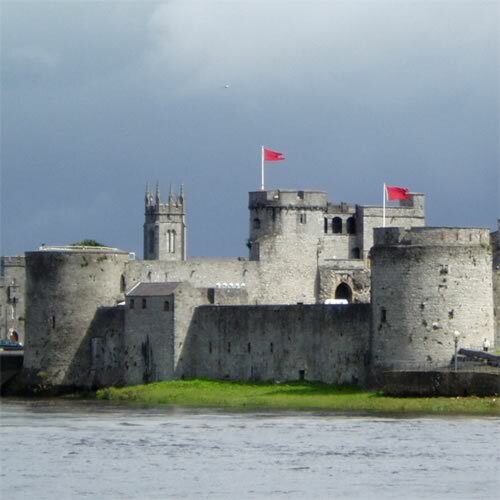 King`s Island saw the majority of fighting during the 1691 Siege of Limerick, leading to the end of the Williamite Wars. As a result, many of the historic buildings open to visitors on King`s Island today aren`t nearly as old as St. Mary`s Cathedral and King John`s Castle; many of those sights will date from the eighteenth and nineteenth centuries. Points of interest include the aforementioned sights plus The Bishop`s Palace (ca. 1750); St. Munchin`s Church of Ireland (ca. 1825), where Limerick`s patron saint is said to have his final resting place; Villier`s Almhouses (ca. 1820); Baal Bridge (ca. 1830); the Limerick City Courthouse (ca. 1800); and Fanning`s Castle (ca. 1641). The area west of Kileely and Shelbourne Roads and north of Condell Road is the Thomondgate neighborhood. 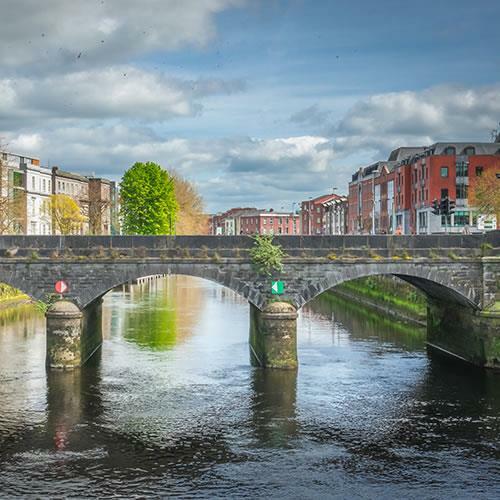 Located on the opposite bank of the Shannon River from King`s Island and Newtown Pery, Thomondgate once connected the Kingdom of Thomond (now part of County Clare) with the ancient City of Limerick (the walled city that would eventually become Englishtown). Thomond Bridge has connected the two for centuries. Today, Thomondgate is a semi-urban area where many locals live, and a few accommodation options can be found here as well. 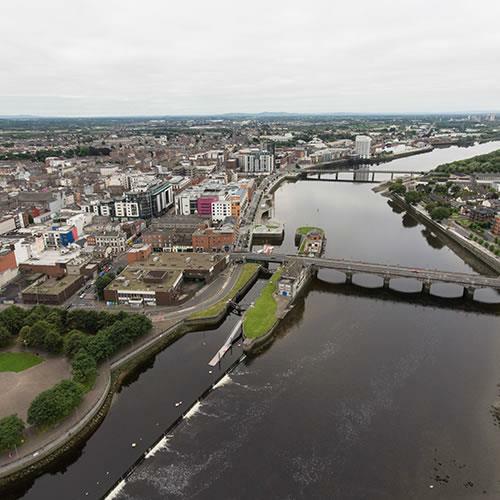 Sights of interest include Thomond Park Stadium, where Gaelic football is played; the Limerick Institute of Technology; Clancy`s Strand Boardwalk; St. Munchin`s Roman Catholic Church; and the Treaty Stone, symbolizing the treaty signed that ended the Williamite Wars in 1691.